In the same way that there are many different types of uPVC windows on the market, so also are there different types and styles of replacement uPVC window handles to choose from. The problem that arises when a handle or handles become damaged in a home is that the owners are a bit at a loss as to how to have them repaired or replaced. 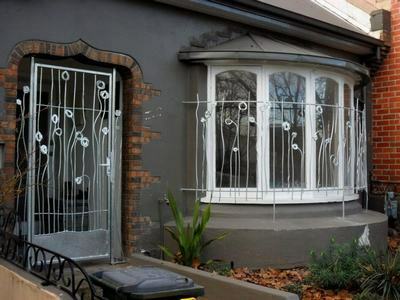 Handles could get broken or perhaps they can be damaged by a burglar in his attempt to gain entry to a home. Otherwise over many years the working mechanism in the handles may simply become old and worn and the handles might become loose. Just because your uPVC window handles are in need of upgrading or replacement does not mean that your windows need to be replaced. There are many companies out there that will look after the replacement of the handles for your windows and who will make your windows appear like new again. uPVC windows really are a low maintenance option to install into your home, but just because they come with a ‘low maintenance’ tag, does not mean that they will not need to be repaired from time to time. The frame which comprises uPVC will not need any maintenance or painting over the lifetime of the window, but any moving parts such as hinges and handles are subject to on-going stress and therefore will wear over time. Finding modern handles for your replacement windows is not difficult as there are companies that supply theses items and which will deliver them to you. You may not find these companies geographically close to you as they are specialists in what they do, so the best way to contact them is online. Simply pass on your query to them, outlining what it is you require, the amount of handles you need and they will let you know what they have in stock. Sometimes it is difficult for homeowners to be able to identify the type and size of handles they already have in order to be able to order new types that are the same size. If you find yourself in this difficulty, you could send a photo of your old handles and also some measurements and an expert at the company will be able to identify what handles you already have and be able to offer you alternatives. If you are considering upgrading your property, then this could be another reason you might elect to change the handles of your windows. There are many more modern types of handles on the market nowadays and these handles are possibly a lot more chic and hygienic than the handles that you already have in your windows. Hygienic because older uPVC window handles often had rough grooves at the back of the handles when they were made and these grooves were virtual breeding grounds for bacteria and for holding dirt. Modern handles have improved a lot and now are one smooth piece of engineering, which makes them easy to wipe down and disinfect.